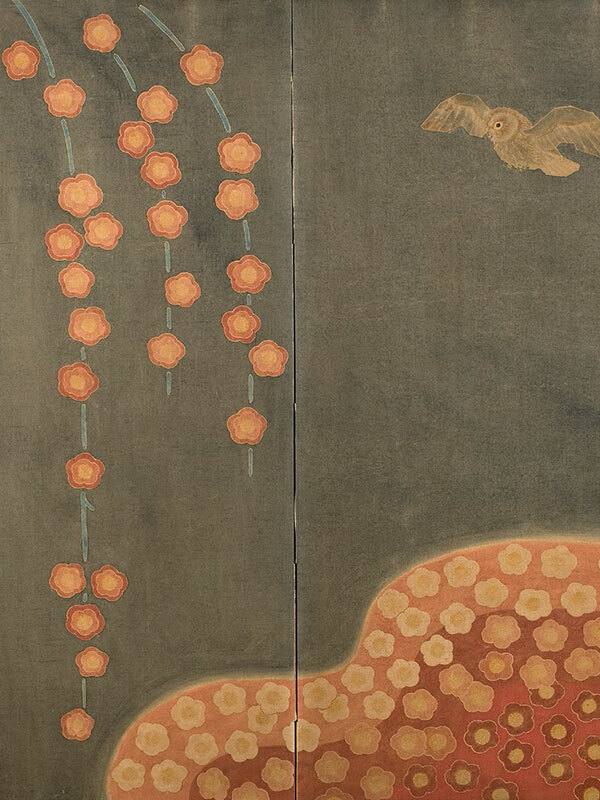 The accompanying cloth cover is inscribed: ‘Early Spring – dyed screen, made by Hannya Yuko’, with the artist’s seal. Hannya Yuko (given name: Fukuzo) was born in Tokyo in 1898. 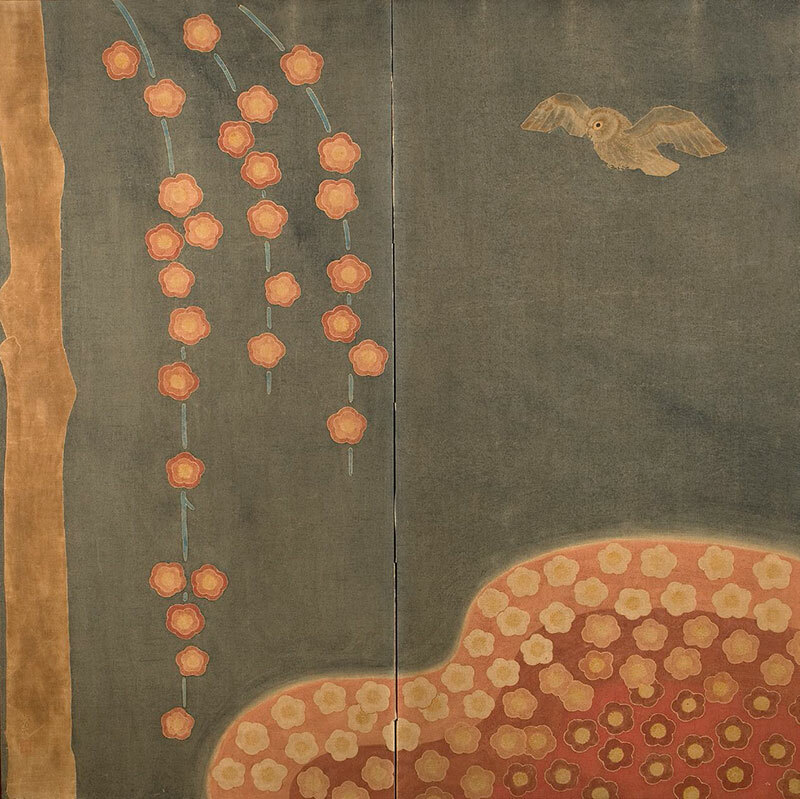 He studied with several teachers from 1916 onwards and learned a large variety of textile techniques including Roketsu-zome (Batik), wall hangings, kimono design and screen making. He was one of the pioneering artists who introduced textile into interior decorating in a modern setting. He exhibited at the Teiten and Nitten Exhibitions many times, first at the Showa 4th Teiten Exhibition (1929). He was president of many societies, and won a prize from the Japan Art Academy (Nihon Geijutsuin). He died in Hamamatsu city, Shizuoka prefecture in 1980.